Canary Backer & Pre-order Update | Canary Blog. 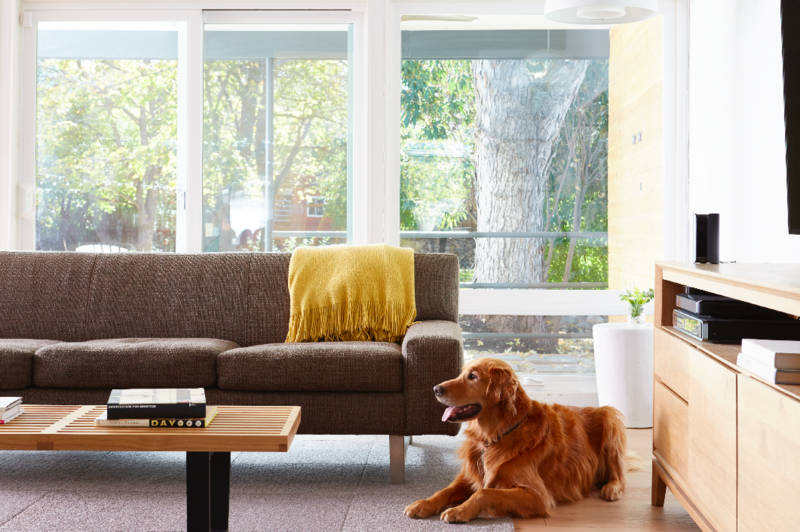 This time last year Canary had two employees, a half-dozen contractors, and dreams of changing the way people connect to their homes and each other. Fast forward to the present and Canary employs a few dozen awesome people, Indiegogo backers will start receiving their Canary devices in just over four months, and we’re only weeks away from kicking off beta testing. We had a successful week in Las Vegas at CES. We received a ton of press from USA Today, The New York Times, Forbes, and a slew of other sources, but our favorite piece was penned by Adweek. We were also able to share a working iteration of our app (lots of improvements already made to this but check out what we showed off at CES here). The best part for us, however, was connecting with our backers. We met some of you in person – which was amazing. Your stories and encouragement reinforced why we are building Canary. The hardware manufacturing process is moving forward full force. A few dozen more devices arrived at Canary HQ and we continue to build and run tests on them. 1. Prototype (PROTO) – duct tape and open source hardware. 2. Engineering Validation Test (EVT) – making sure we have the right components functioning together. 3. Design Validation Test (DVT) – making sure the product looks and feels like it should. 4. Production Validation Test (PVT) – putting it all together, and making sure the assembly line is ready. 5. Mass Production (MP) – what you, the customer, gets. We’ve finished the EVT stage, and in our last update we told you that we were beginning the DVT stage. Over the last month, we have been able to finalize most of the sensors, including passive infrared motion, 3-axis accelerometer, air quality, connectivity, and the camera. We’re currently working through performance tests to validate our sensors and connectivity. We have a few hardware iterations over the next few months before we complete the DVT phase. Once we’ve confirmed our final hardware design the DVT phase will be complete and the factory will begin producing PVT units. While the hardware device itself is critical, it’s only one ingredient (okay, one BIG ingredient) in the Canary experience. The other crucial component is the Canary app – the thing you’ll interact with every day. We’ve built iteration upon iteration of the app — continually finding ways to simplify and improve the experience. With each iteration we’re getting closer to what you will see and use when we start shipping devices. Nothing is final until we ship — and even then we’ll be listening to your feedback for ways to improve your experience. Currently we are honing the details of the UI (User Interface), which is a lot more than simply making it look good (though we are making it look really good!). Canary captures such a wide array of video, audio and sensor data, and there’s a fine line between providing you with all important information you need to know and being overwhelming. We’re walking that line now to find the simplest, most intuitive solution without sacrificing features. At the same time we are perfecting our geolocation algorithms so Canary can accurately determine when you are home and away. This allows the device to automatically arm and disarm itself (we’re building this functionality from the ground up to ensure it’s secure and reliable). On the embedded software side, our engineering team is doing great work in terms of optimizing the video quality and pulling accurate data from all the sensors. Beta testers, get ready. As the hardware and software keep pushing forward, we are bracing ourselves for that exciting day when we start shipping out beta units. The beta schedule starts with a “closed” version internally to work the kinks out. We have very rigorous requirements that must be met before we pass these test units from our hands to yours. Trust us, we are eager to do so. If you’re one of our beta backers, we will be reaching out to you personally over the next few weeks. We are close to launching a site for our Indiegogo backers. The site will make it easy to securely update any of your details (mailing address, color, pay shipping fees, etc.). You will receive an email invitation to join the site so be on the lookout for that in the coming weeks! We are moving rapidly toward a future where Canary will make feeling safer in your own home available to everyone rather than a luxury few can afford. We couldn’t have done it without you, and we hope you continue to be involved and supportive as we press forward!